The 2019 Common App is open. First-year applicants are currently enrolled in secondary school, or have completed secondary school and have not attended an institute of higher education outside of their secondary school experience. This includes students who have taken A-levels or studied in an AP or IB curriculum, as long as they have not completed university coursework. Sometimes, these students are also referred to as "freshmen," regardless of their class standing upon entering the university. Transfer students are those who are currently attending a university or have attended another institute of higher education after finishing secondary school. All students who fit either of these criteria are classified as transfer students, regardless of the amount of college credit completed. In general, students with fewer than 30 semester hours will have to submit their secondary school transcripts and test scores, despite being classified as a transfer student. The new 2019 Common App is open. 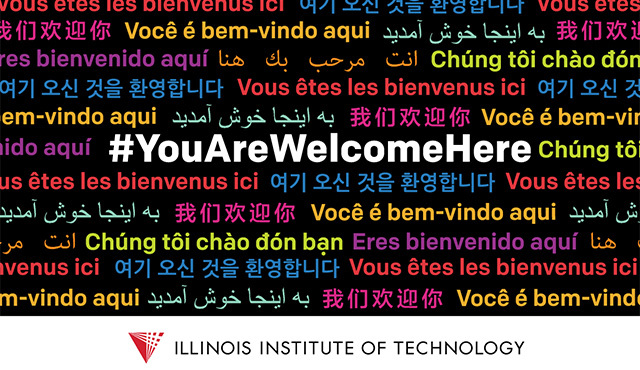 International Visiting and Exchange students who are currently attending a college or university and will be studying at Illinois Tech through an established exchange or partner program.